The UK genre film festival also announces a new headline sponsor, Horror Channel. 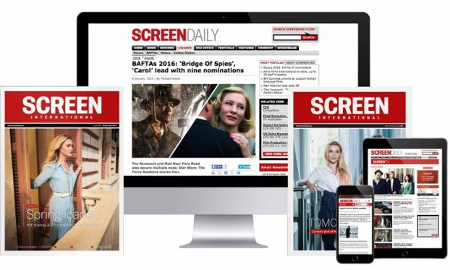 Screen International is to partner with FrightFest (Aug 25-29), offering digital dailies during the UK genre film festival’s 17th edition. As official media partner, Screen will also chair a panel debating the future of British horror and host the festival’s Director’s Lunch, where the winner of the Upcoming UK Horror Director/Producer Of The Year Award will be announced. In addition, Horror Channel and FrightFest have secured a three-year partnership deal, which sees the UK broadcaster - owned by CBS Studios International and AMC Networks International - become the festival’s headline sponsor. Last year’s FrightFest hosted the UK premiere of Nina Forever. As previously announced, Horror Channel FrightFest will relocate to the Vue Shepherd’s Bush for this year’s edition. The new two-year deal between FrightFest and Vue includes the option for the festival to return to Vue Leicester Square in 2017.